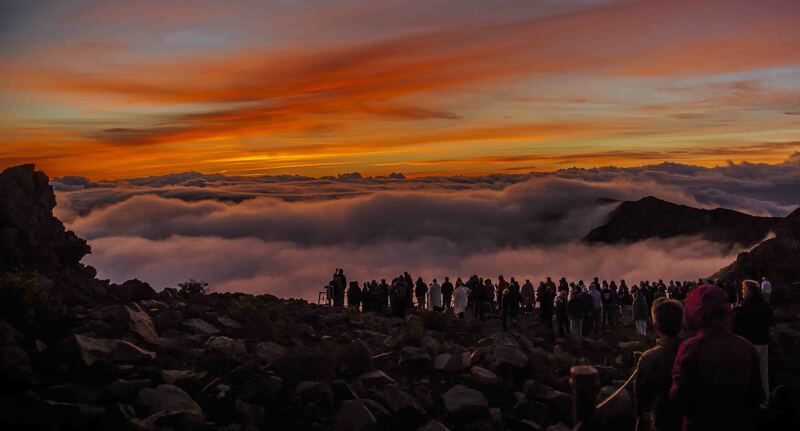 Today we’re going to watch a timelapse from the Haleakala Volcano inside the Haleakala National Park. This was shot on the island of Maui in Hawaii which despite its remote geographical location is part of the United States. I don’t carry a lot of camera gear with me as fundamentally, I’m not a photographer but I have lots of respects for the men and women who do lug this gear around because well, without it you can’t make videos like this. Supposedly Dan and his friend lugged over 75lbs of equipment to the summit of this dormant volcano larger than Manhattan at 4:30AM to capture these shots. Below is a bit of background on how this whole thing ended up getting posted here. It was late Saturday night and I was sleeping which is a rarity. Suddenly I heard my iPhone vibrating on the desk next to my bed and I checked my mail, it was an email about possibly guest posting. I get these often and it’s usually some borderline illiterate marketer trying to con me into running a post of no value to anyone laden with links to their clients, no thanks. This was different and below is the email I received about the Haleakala Volcano. I watched the video and loved it so I’m sharing it now and think it’s a great way to start any week.